Specifications: 510mAh USB rechargeable battery, 246 mm/9.7 inches long, 191 mm/7.5 inches wide, 11 mm/.43 inches high, .345 kg/12.2 oz. in weight. Sturdy aluminium shell for a long life. Some questions about long term durability. The Logitech Keyboard Case by ZAGG for iPad 2 combines 3 popular iPad 2 accessories into one small profile product: a protective case, a stand, and a Bluetooth keyboard. It is ideal for those that are hoping to use their iPad 2 as a replacement to a laptop, as the small profile makes it easy to slip your iPad 2 and keyboard into a small carry on, and the Bluetooth keyboard makes writing emails or editing documents a snap. However, those with larger hands or who want full body protection for their iPad 2 will find this product lacking. Like many people who purchased an iPad or iPad 2, I have found myself using it far more often than I originally thought I would, often using it for purposes it wasn't explicitly designed for and finding it does an admirable job. In many cases, it has replaced my laptop, particularly on short business trips. QuickOffice combined with Dropbox and Apple's VGA and HDMI adaptors have done wonders in this regard. Where my iPad 2 has failed me is when it comes to writing. The on-screen keyboard is great for dashing off quick emails, but quickly becomes frustrating when trying to write out longer emails or documents. The lack of on-screen equivalents to arrow buttons has made editing Word documents or modifying presentations particularly frustrating. When I saw what then was called the Zaggmate 2, I immediately put in a pre-order with my local Zagg reseller. It promised the perfect combination of utility and portability, combining a portable Bluetooth keyboard with a stand that could accommodate both portrait and landscape modes on the iPad 2, while keeping bulk down by functioning as a protective case for my iPad 2 when not using the keyboard. I was a bit surprised when my new Zaggmate 2 was delivered to me, and I found that it was now called the Logitech Keyboard Case by ZAGG for iPad 2. Obviously between my preorder and delivery, Zagg and Logitech worked out a co-branding deal on the product. While I can only guess at the reason, my hunch is that this way Logitech can quickly get a product to market to take advantage of the initial iPad 2 sales rush, while Zagg benefits from Logitech's extensive distribution network, getting their product into even more stores than before. The Logitech Keyboard Case by ZAGG for iPad 2 is just slightly larger than your iPad 2. The outer body is made from smooth Aluminum. This keeps everything strong and rigid, while keeping the weight nice and light. Included in the packaging are 4 rubber "feet" that you apply to the bottom of the shell via adhesive. The rubber feet help prevent the keyboard from sliding while in use, as well as help protect the aluminium from being scratched by the surface it sits on. They're thin enough that there's not too much worry of knocking them off while you slide your iPad in and out of a sleeve or other carrying case. The aluminum shell has a cut out at the keyboard so as not to hit your wrists when you type, as well as cutouts to allow you to plug in the Apple docking cable and headphones while using the keyboard as a case. It also has a micro-USB port so you can use the included USB to Micro-USB cable to recharge the built-in battery. Inside the aluminum shell lies the keyboard and stand. They are both slightly recessed to allow your iPad 2 to slip in while using the shell as a case. The keyboard is orientated in landscape mode, going from end to end horizontally while taking up about 2/3rds of the area vertically. The keys are very similar in design to those found in a lot of netbook computers and are not the chicklet style found in many newer laptops. In addition to your usual QWERTY layout of letter and numbers, Zagg includes arrow keys plus a number of shortcut keys. These keys allow you to change the volume, copy and paste, as well as launch a number of the iPad's built-in applications. The top 1/3 has a switch for turning on the Bluetooth keyboard, a button to help pair the keyboard with your iPad and two LED lights that act as status and charge indicators. Above this is a deep canyon that you slip your iPad 2 into, and a folding plastic tab that becomes the stand. The tab lies flat when not in use, and then can be flipped up when needed. The use of the keyboard and the stand is really straight forward. Zagg included a very basic guide to help you get the keyboard paired with your iPad. Its just a matter of turning the keyboard on, hitting the connect button, and then going into your settings on your iPad 2, turning on Bluetooth and choosing the keyboard from the list of displayed USB devices. Your iPad 2 will display a number: type this number into your keyboard and hit enter, and now your iPad 2 is paired with your keyboard. You only have to do this once; afterwards your iPad 2 will automatically connect to the keyboard any time Bluetooth is enabled and the keyboard is on and within reach. To use the stand, just flip up the plastic flap and then pull out the base and slide it into the slot. You then slide your iPad 2, in whichever orientation you want, into the canyon that runs along the length of the case. I found setting up the stand was quite easy and, thanks to a lip running along the canyon, the iPad 2 stays in place quite well. You should have no fear of your iPad slipping loose if you move the keyboard to a new location, or if you're using it on an airplane and you hit turbulence. The keyboard is a bit cramped, but otherwise works just like it should. The addition of the arrow keys makes it really easy to position your cursor where you need it in a document, and the shortcut buttons allow you to switch programs and perform basic functions without needing to take your hands off the keys to touch the screen. Writing long emails has been a breeze and is a welcome change from using the on-screen keyboard. As noted earlier, it also doubles as a case for when you are not using the keyboard. You simply lay the stand down flat, and then place your iPad 2 in screen first. It's a very snug fit, with the aluminum shell being contoured for a near perfect fit. There's a slim line of foam that runs around the case; this serves to prevent aluminum on aluminum contact, and the foam provides a very snug fit so your iPad 2 doesn't slip out by accident. Its very easy to put your iPad 2 in place, however it does take a bit of effort and finesse to pull it back out. Zagg/Logitech are nice enough to include instructions with graphics on the best way to remove the iPad 2 from the case. Personally, I rather like the snug fit, and would rather deal with a little extra effort in removing the iPad 2 than worry my iPad might fall out at the wrong time. I like the Logitech Keyboard Case by ZAGG for iPad 2. It has helped dramatically increase my productivity when using my iPad 2 for business, and has helped make my iPad 2 a true replacement for my laptop on most business trips. However, before you run out and buy one, there's a few things you need to consider. First, the keyboard itself is very small. I have rather small hands, and even I found it to be slightly cramped and took quite a bit of time before I could type with any speed comfortably. Those of you with large hands or thick fingers may find the keys are just too small for you to be able to comfortably use. In addition, I have some questions about the long term durability of the product. One thing I noticed as I took the Keyboard Case out of the packaging was the foam in the corners had already started to separate from the aluminum. This foam is needed for a snug fit and to prevent wear and tear on your iPad's body. If the foam is already starting to separate before it has even been used once, how long until it comes off entirely? I also have some concerns with the stand since it is made out of rather rigid plastic, and needs to be bent quite a bit every time you open and close the stand. Past experience with similar designs makes me wonder how long it will be until the plastic tears at the joint, or until the little tabs that help hold it in place when open snap off. Finally, what is probably the biggest drawback is that using the Zaggmate as a case leaves a lot to be desired. To begin with, your iPad 2 will only fit when placed screen down. This means if you actually plan to use your iPad 2, you must remove it from the case. I had hoped I could use the case for protection when using my iPad 2 in my hand, but that is not possible. The other big problem is the case only covers the front and sides of your iPad 2. The back of your iPad is not only left uncovered, but the sides project out above the protection of the aluminium sides of the case. Because of the snug fit of the case, you can't combine the Logitech Keyboard Case by ZAGG for iPad 2 with a 3rd party snap on plastic or silicone case that would offer protection to the back of your iPad 2. Instead, you'll need to purchase a very thin skin if you want to protect the back of your iPad 2 from scratches and other wear. 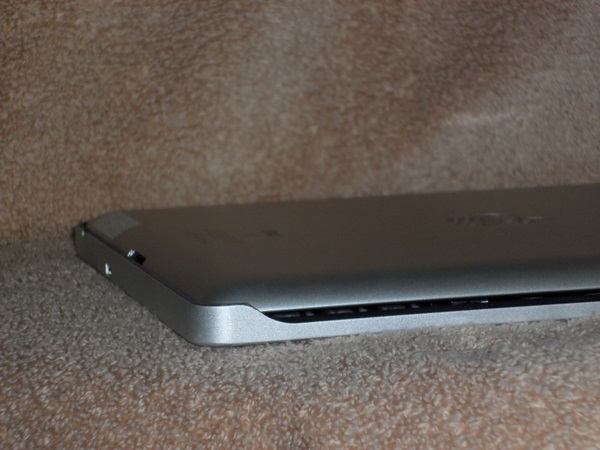 Figure 1: As you can see the Zagg Keyboard case leave the back and the sides of the iPad 2 exposed. The Logitech Keyboard Case by ZAGG for iPad 2 is a solidly built product that does 2 of the 3 things it claims to do very well (provided you don't have large hands) and does it in a very portable form factor. However if you want a case that offers all-over protection or you need a larger keyboard, you will want to look elsewhere and consider going with a two piece solution of a case/stand combo and a stand-alone USB keyboard. For those with smaller hands and who don't mind exposing the back of your iPad 2, you should definitely consider the Logitech Keyboard Case by ZAGG for iPad 2. Shawn Rogers is a self-described gadget geek and has spent the last two decades working in technology sales and manufacturing. His thoughts and insights have appeared in numerous industry publications as well as Business Week. He lives in Orange County, California and enjoys spending time at the beach with his technology disinterested wife, and two dogs.